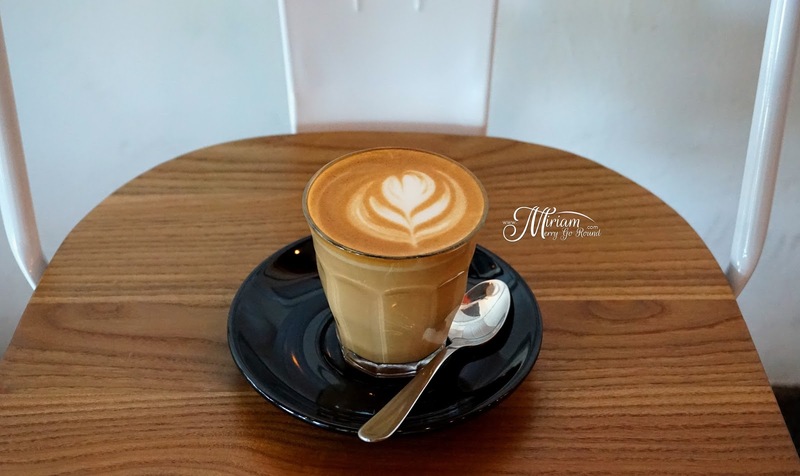 Hello my cafe hopping merrygoers! 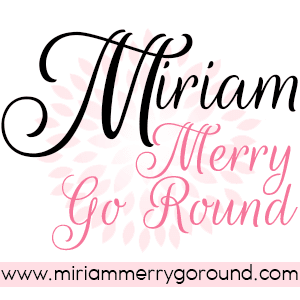 It's time for some cafe hopping so yup it is another #MiriamEats post. 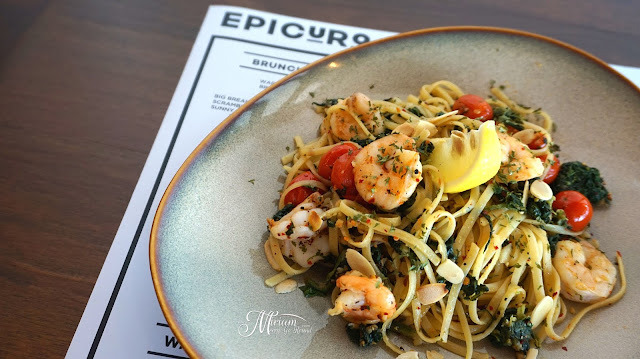 It has been awhile since my last cafe hopping and with so many cafes around I sure have my share to pick so this time round I am going to share with all of you my dining experience at Epicuro USJ. 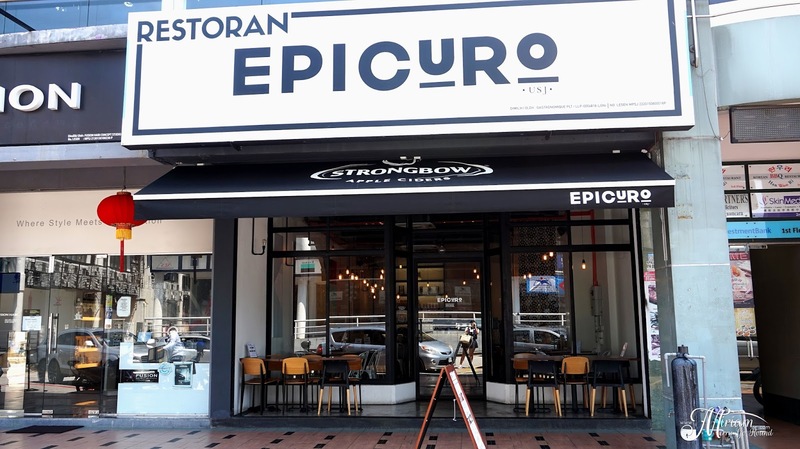 Epicuro is definitely not a foreign name especially to those to frequent cafes often but I am not going to be trying out the food at their first branch located in Uptown Damansara but instead I will be trying out the branch in USJ. I have heard great reviews about Epicuro Uptown although I have not been able to schedule a time to try it plus parking there is somewhat horrendous at times so thank God for the USJ branch which is nearer to me plus easily accessible. 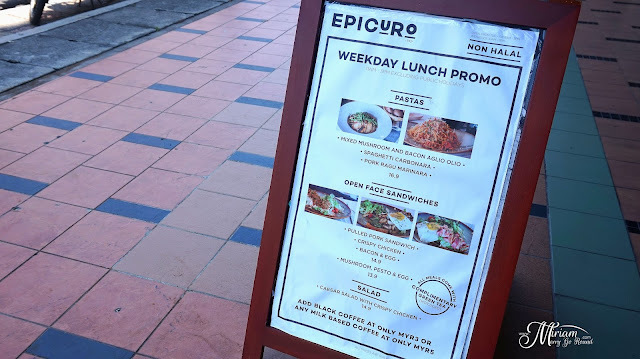 The first thing that caught my eye before entering the restaurant was actually the huge Weekday Lunch Promo that they are having which seems rather tempting and affordable so I sure was hoping to try some of their popular dishes. Now let's start off with something light just as an appetizer. 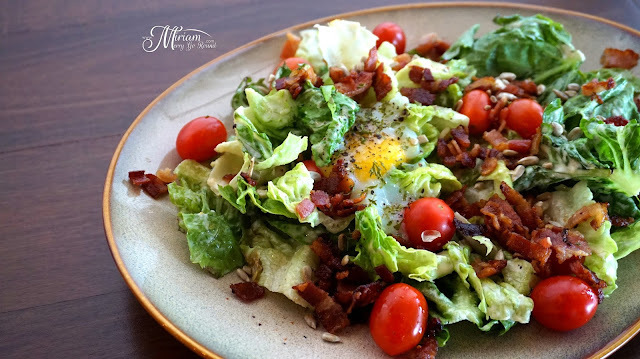 We have the Caesar Salad with Bacon/Egg which came in this huge plate with crispy romaine salad topped with juicy cherry tomatoes plus a generous scattering of crispy bacon bits! To top that off we even have this beautifully poached egg sitting in the middle just waiting for me to burst it. Creamy runny egg yolk just makes everything look so good plus the saltiness of the bacon bits sure give the dish some great flavor. 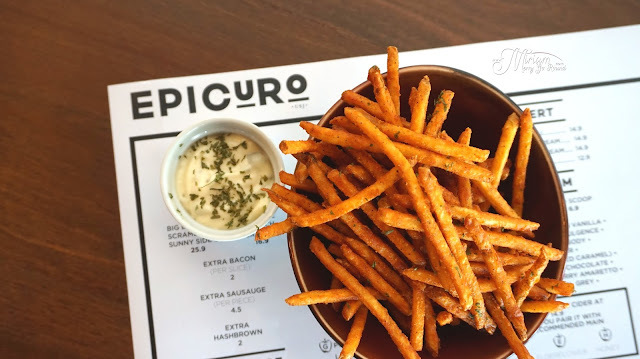 Of course while waiting for our mains to arrive, we definitely need more than the salad to keep us happy so we tried their Spicy Stick Fries and their Hot Wings. 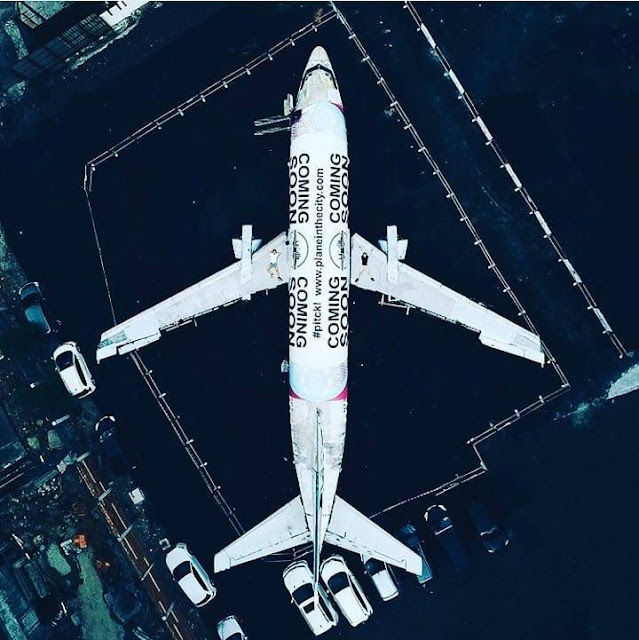 Boy oh boy! 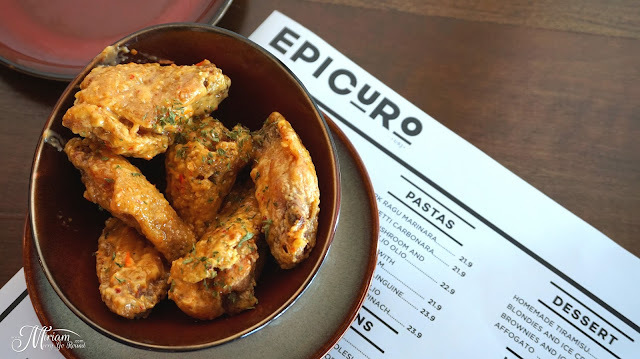 You have got to order their Hot Wings because they are just smoking hot and finger lickin' good! I am a crazy fan of spicy food so this certainly landed up the right alley for me. Flavorful, crispy wings coated evenly with the hot sauce was just so good. 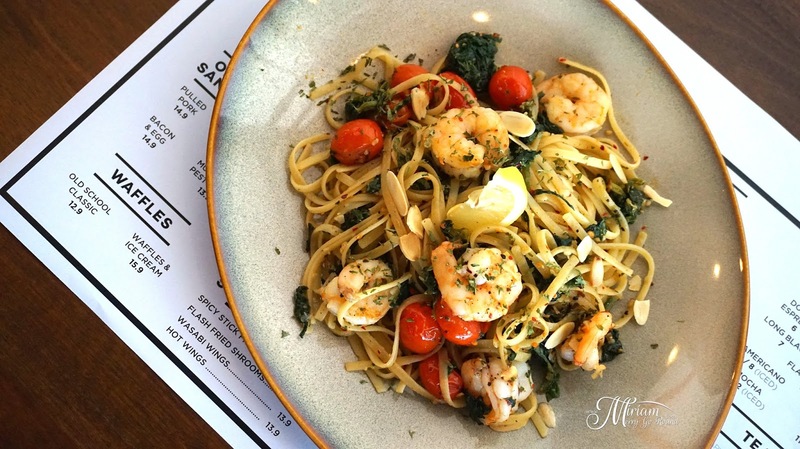 After those Hot Wings, our appetite was definitely very welcoming when the first of our main dishes arrived. 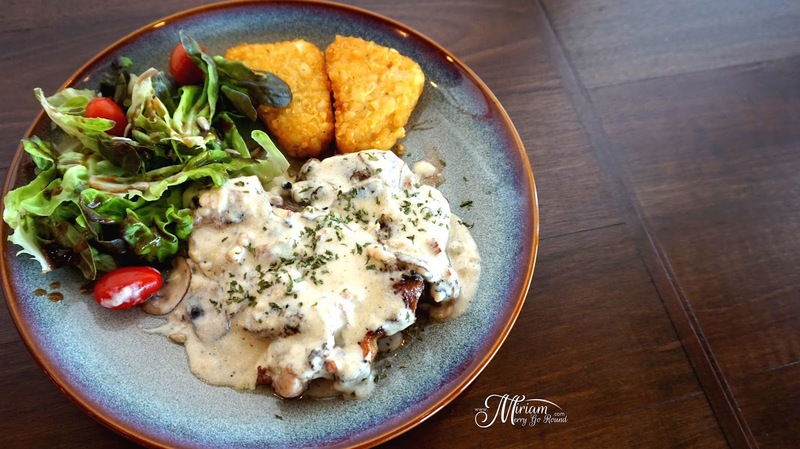 First up we have got the Pork Chops, tender and juicy bathe in creamy mushroom sauce; served with some flaky hash browns and salad on the sides. Fans of pork chops would adore this dish which was nicely prepped and cooked plus that sauce was really something. However if you are more of a fish fan like me, I implore you to please please order their Fish and Chips! I super love their Fish and Chips the second it entered my mouth. The fish was flaky, white, juicy, practically melted into my mouth and the batter was so good. 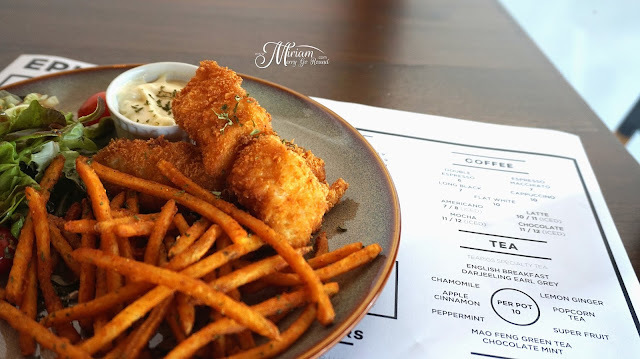 I am not a fan of those thickly coated fish and chips where you taste more of the flour more than the fish so this thinly coated fish fillet deep fried golden brown is definitely one of the best fish and chip in my opinion. On the sides, you will get their Stick Fries and salad but seriously the fish is the star in this dish. 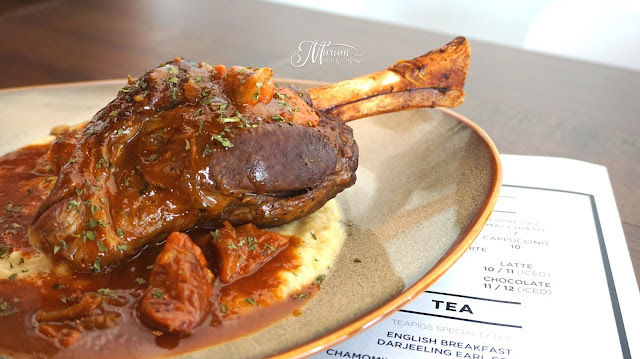 Yet another star dish you should try if you are a big eater is their Lamb Shank where you seriously get this huge piece of lamb shank; so tender and juicy that it just falls of the bone. 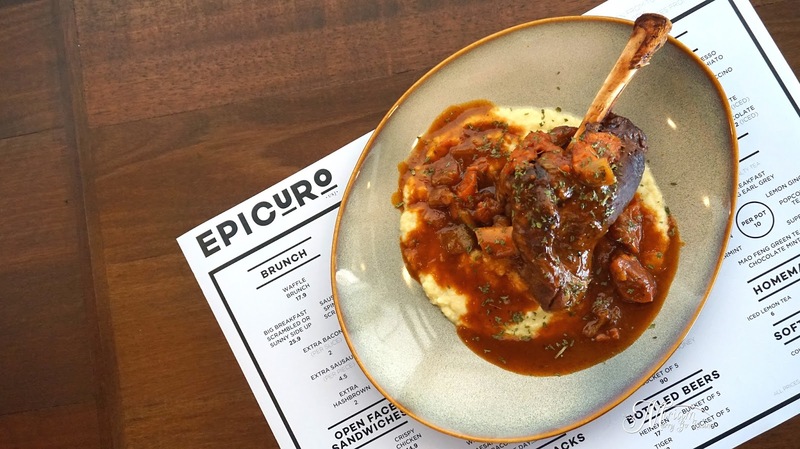 I must warn you that this is quite a huge dish especially as this Lamb Shank sits on a bed of creamy mashed potatoes but if you insist, please go ahead and enjoy this dish. 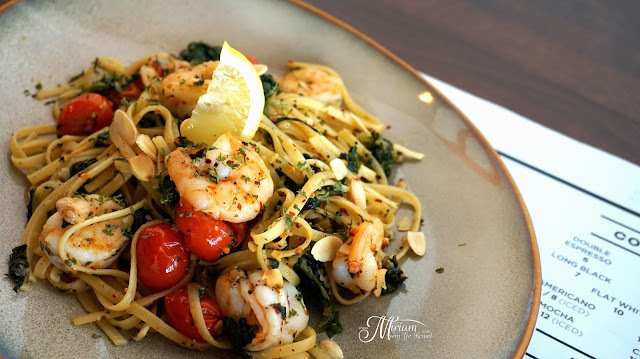 But of course I know not everyone shares my preference in pastas so if you like creamy pasta dishes here are two pastas you can try where one of them is certainly unique. 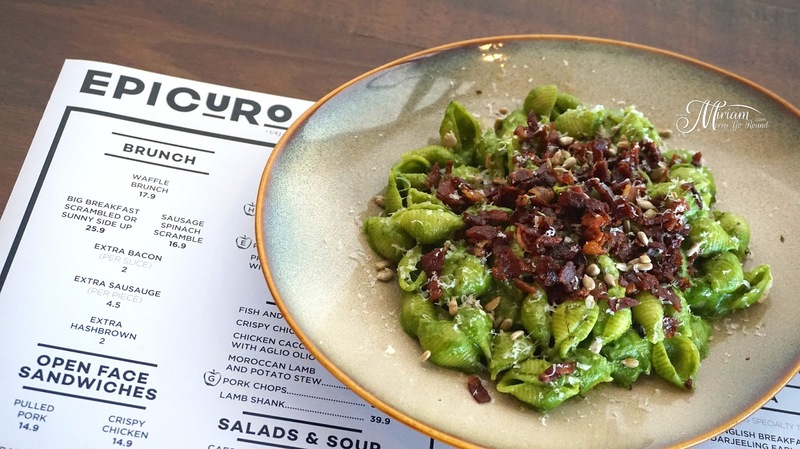 When the Conchiglie with Spinach Cream arrived at our table, all of us were very intrigued with it because it was GREEN! 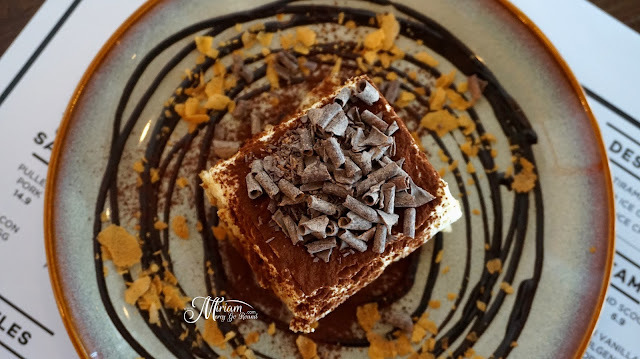 It certainly looks like a dish that maybe aliens made or came from outer space but you certainly have to try it first before judging it. 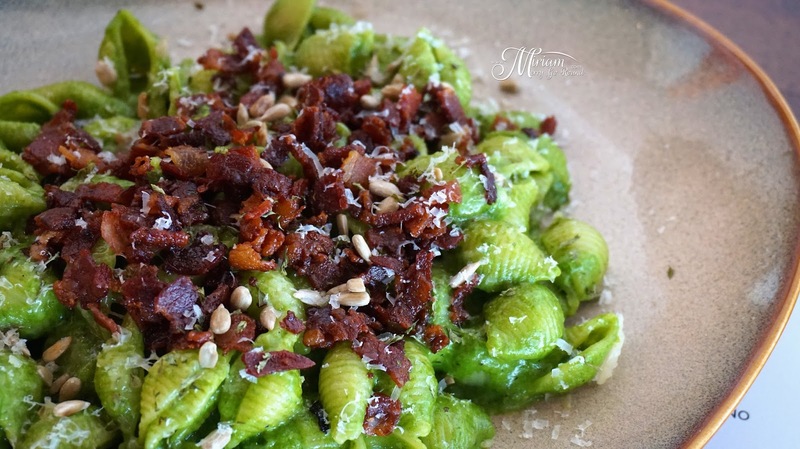 The conchiglie pasta was tossed in this creamy spinach sauce and topped with more bacon bits *grin* and some seeds which my goldfish memory cannot remember if it is pumpkin seeds or sunflower seeds. Nonetheless, the seeds sure added some texture to the dish although the dish is slightly lacking of some salt. 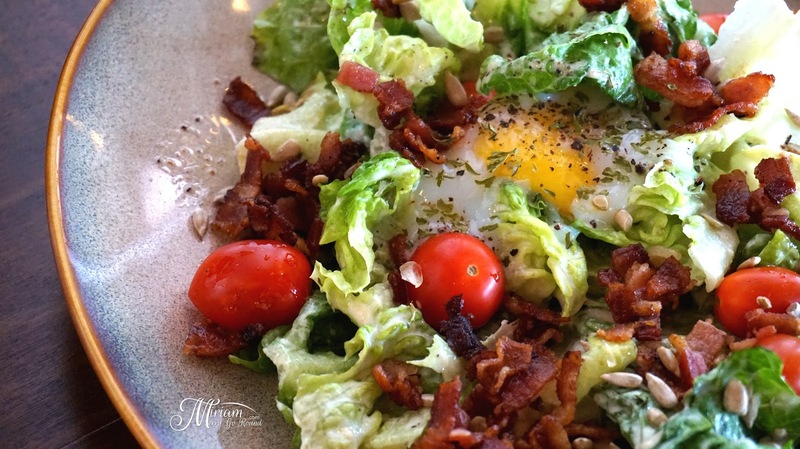 A pinch more salt would certainly do this dish more justice. 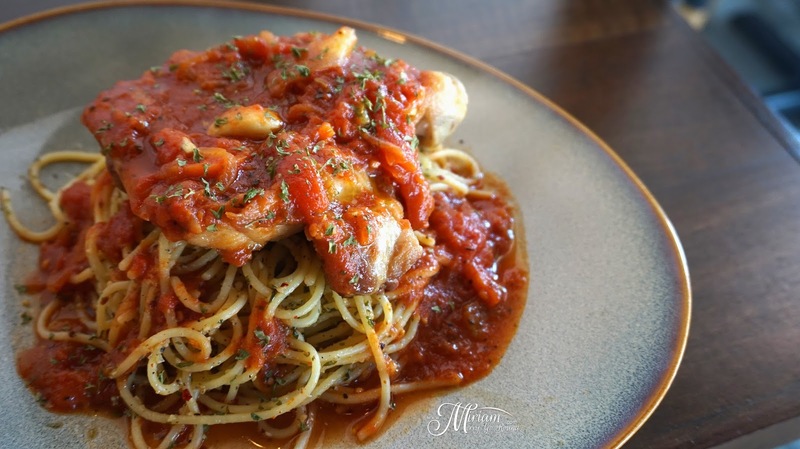 The Pork Ragu Marinara would be the perfect choice for those who love marinara sauce. 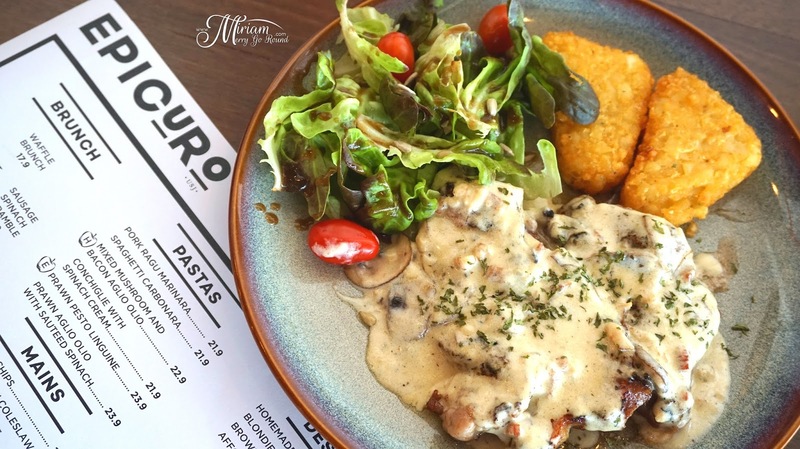 Tangy, savoury, flavors nicely balanced, this pasta dish topped with a huge chunk of pork chop is definitely for those with a big appetite. If you love pork chops but still want your share of carbs, you will love this combo. 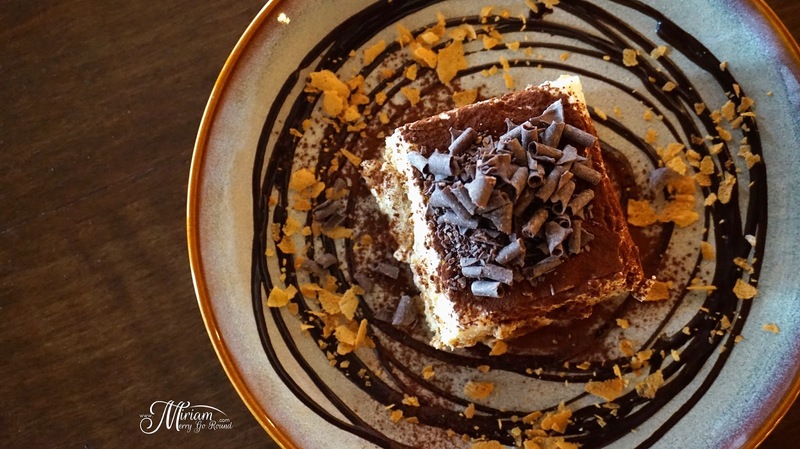 But what is cafe hopping if we did not try their coffee and DESSERTS! 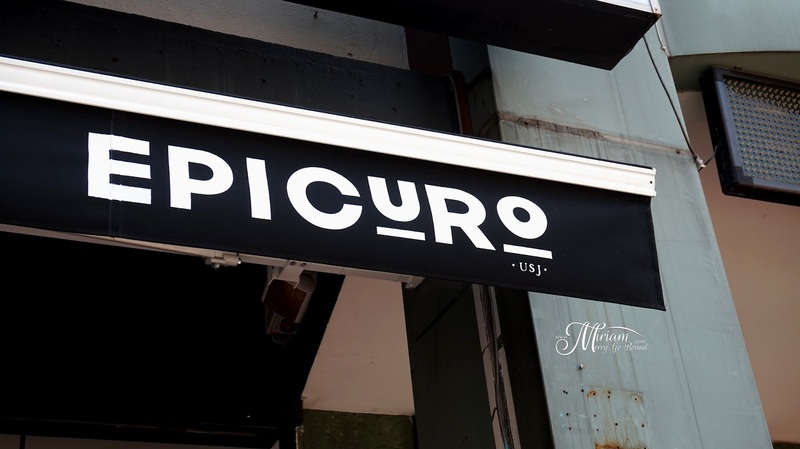 We tried some of their coffee selections as well as waffles and their ice-cream which let me say this first.... it is AMAZING! 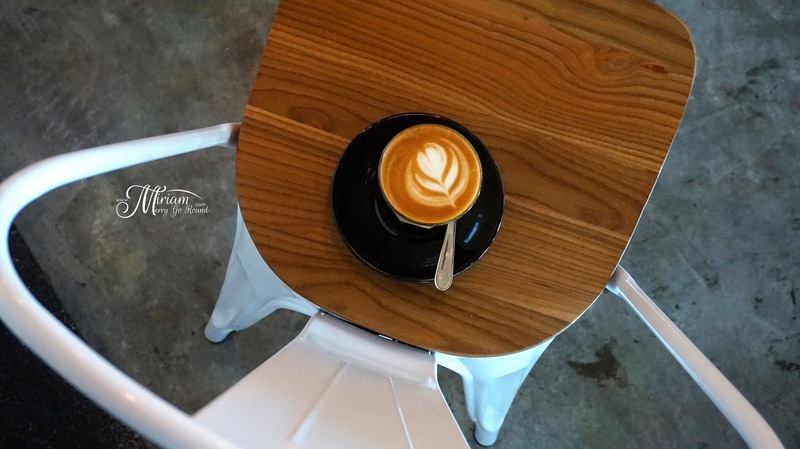 So we tried their Flat White and Latte which was really very smooth and aromatic. 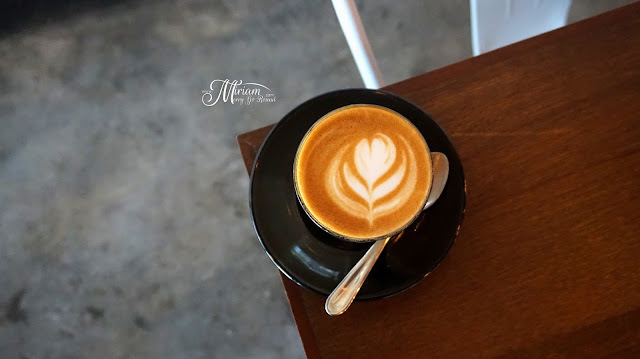 Of course topping with pretty coffee art always makes the coffee experience better. 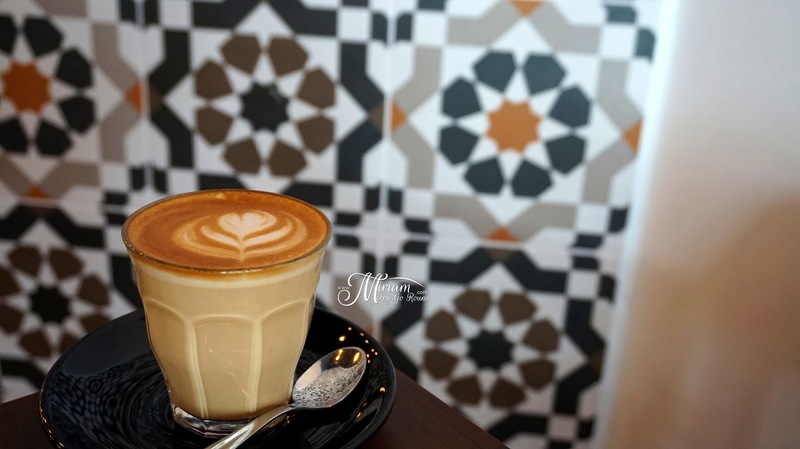 For those of you who do not prefer coffee, you can try their tea selection which was really good too. 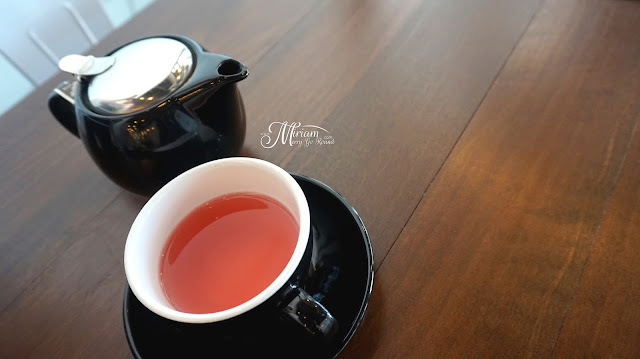 I had the Apple Cinnamon tea while the pretty pink one was the Super Fruit tea which was berrylicious! 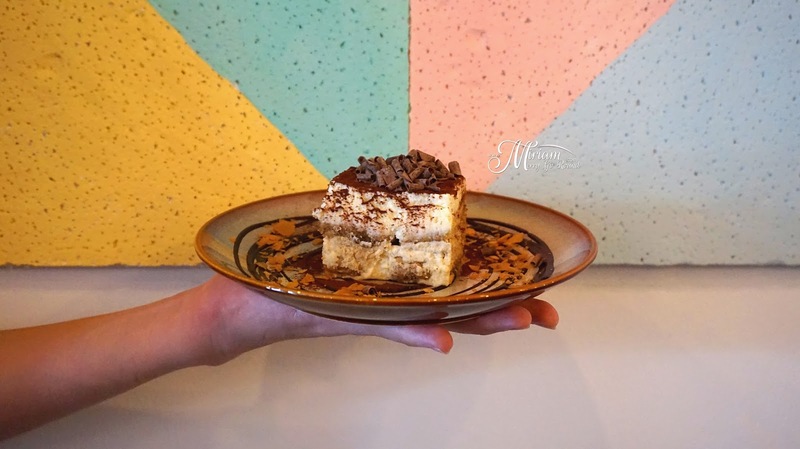 If you do visit Epicuro, you just have to order their homemade Tiramisu! 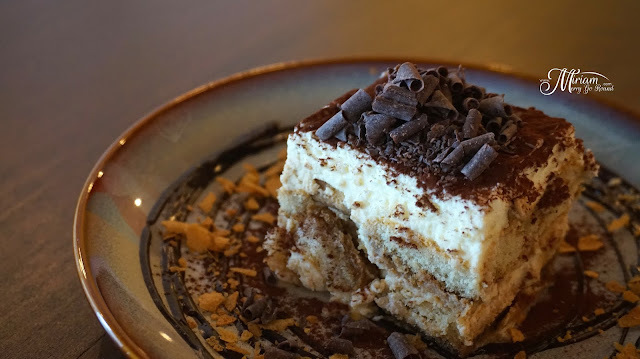 I am normally not a fan of Tiramisu because I have not found one that actually meets my expectations. 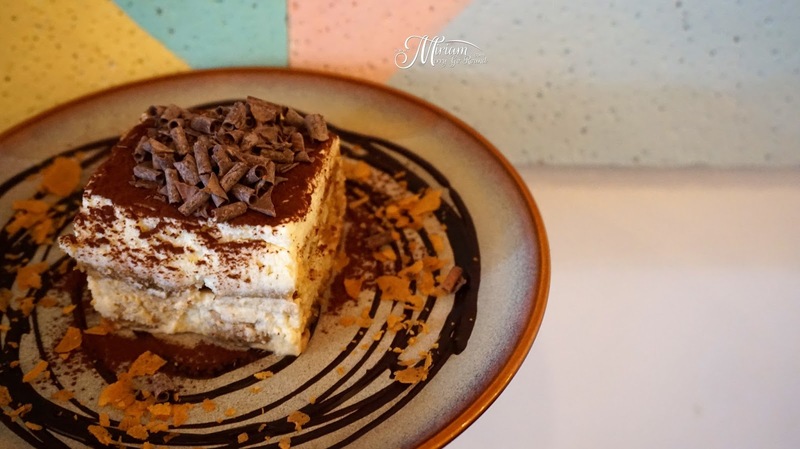 It's either the lady fingers or the base is too wet, or the cream cheese to heavy or just overly too sweet but the Tiramisu at Epicuro was just right! It had the right amount of alcohol in it, not too overbearing but just complimenting the fragrance of the coffee. 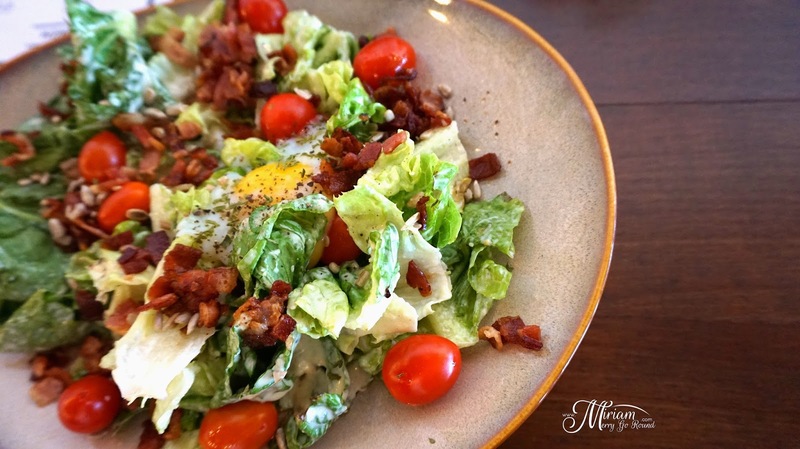 The first bite was just heavenly so seriously order this and you will not be disappointed. 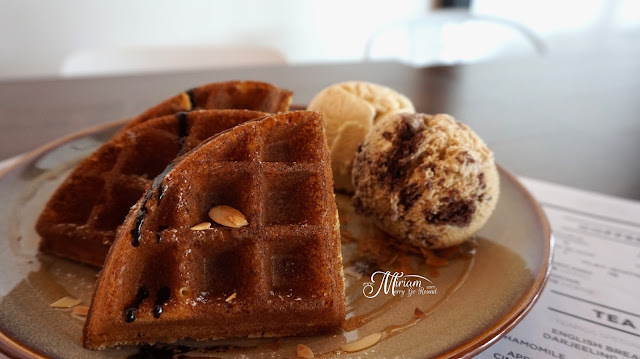 We also had a bite.. ok not a bite but several bites of their signature Waffles with Ice-Cream. 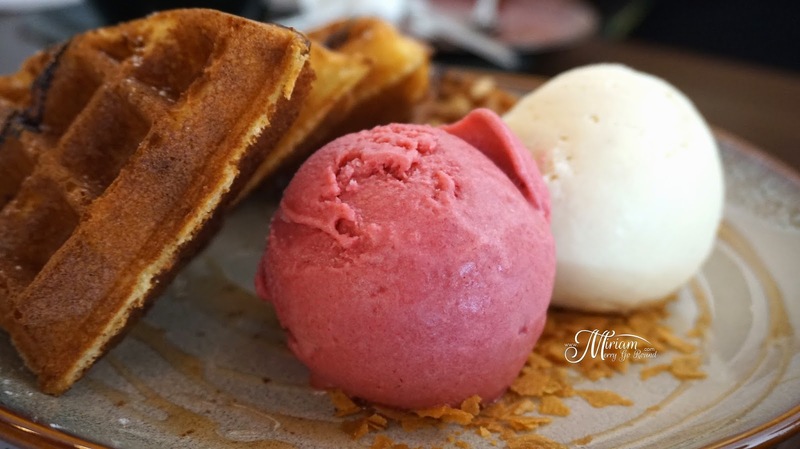 If you plan to have waffles, seriously just take the one with the ice-cream. Never hold back when you are indulging especially when you get ice-creams as luscious as these! 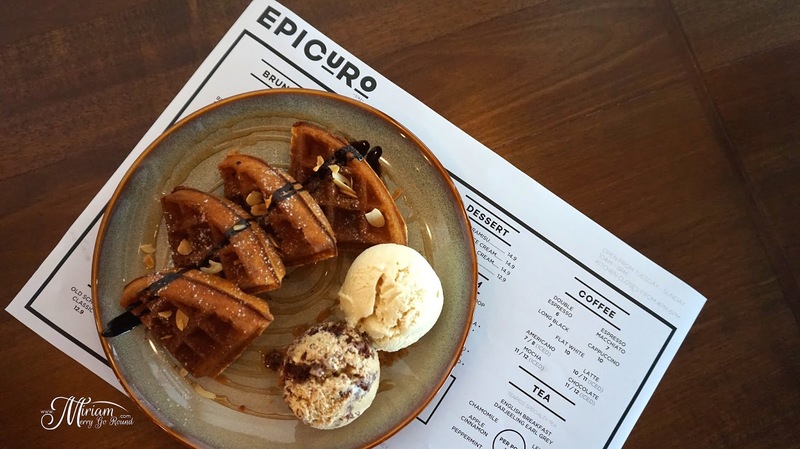 Being the greedy us, we actually ordered two plates of waffles plus an extra scoop of ice-cream (RM6.90) because it was just that good. The flavors we tried were Dark Chocolate Indulgence (one scoop), Cereal Killer, Chocolate Chip Cookie Latte, Raspberry and Vanilla. Among these flavors, I super super super and please let me add one more super LOVE the Dark Chocolate Indulgence, the Chocolate Chip Cookie Latte and the Raspberry! 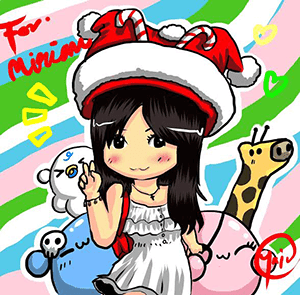 Sorry I just could not choose one flavor because until now the memory of the flavor still lingers in my memory. I am not really a fan of chocolate so I normally would not order anything with chocolate unless it is dark chocolate because I love the bitterness of the cocoa content in it and the Dark Chocolate Indulgence is just so good! 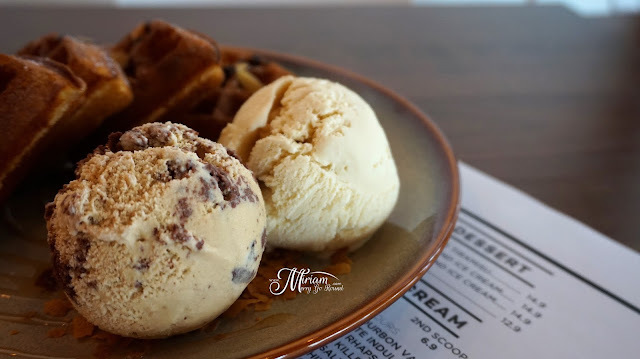 It is not your regular chocolate ice-cream which can be overly sweet for me because you can actually taste that bittersweet taste at your first spoon and it is so rich; definitely standing up to it's name. The Chocolate Chip Cookie Latte has this light fragrance and aroma from the latte and tons of chocolate chips which I enjoyed munching on and lastly the Raspberry would be any berry-lover's dream. Sourish, smooth and fresh, this reminded me of a smooth sorbet great to clear your taste palate too. Wait, let us not forget the waffles! The waffle is the crispy type which gives you a nice crunchy texture at each bite. Super light and crispy, it paired really nicely with the ice-creams. So now let me show you the star behind all the amazing dishes, Chef Yugin Lee! Great to be able to meet him in person and also for preparing such great food for us. 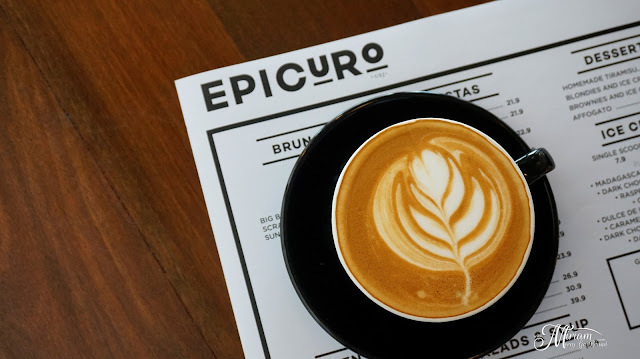 By the way, here are some updates about Epicuro. 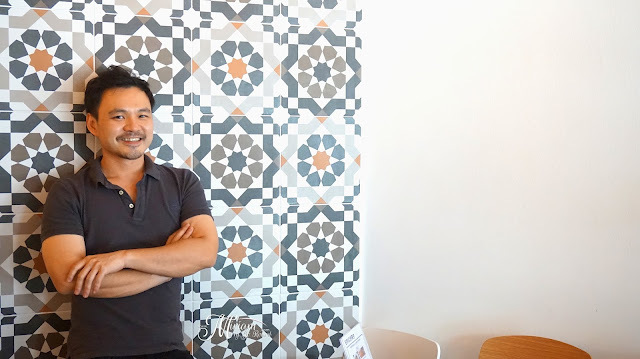 They are in the process of standardizing their menu for both the Uptown Damansara branch as well as the USJ branch so no worries because you will be able to enjoy all the dishes in both branches although I personally prefer the USJ branch because it is much more convenient and parking seems to be better. 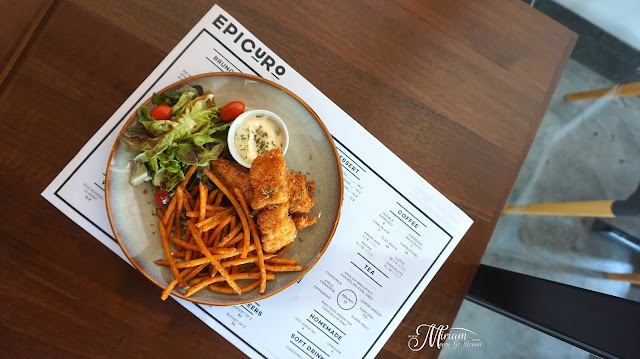 Also, they are currently having two promotions which are the Weekday Lunch Promotion as well as the Strongbow Cider Promotion. 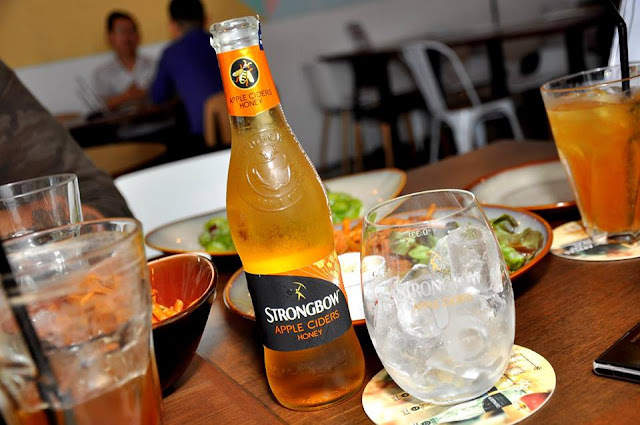 You can get the Strongbow Cider at RM14.90 when you pair it with either the Mixed Mushroom and Bacon Aglio Olio, Prawn Pesto Linguine, or the Pork Chops.